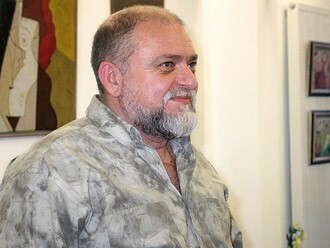 Slav Bakalov was born in Sofia in 1945. In 1964 he graduated the Art School in Sofia and in 1975 the University of Cinematography in Moscow with subject "Painting of cartoons"
He workes as a painter, sculptor, script-writer and director of animated films. He has over 30 solo exhibitions in Bulgaria and abroad. He is the creator of more than 50 cartoons, winners of international awards and is the author of 4 books.